Latest edition of Book – “One “…now with added Prayer work manual. Heidi is passionate about Jesus. Heidi brings a breakthrough anointing and prophetic word in season to help ignite the hearts of His people & the Church community to encounter JESUS and to advance Gods Kingdom. With a strong love and sensitivity to the Holy Spirit, Heidi’s prophetic breakthrough anointing will take you to a new level of faith, enlarged Prayer life and encounter with God. 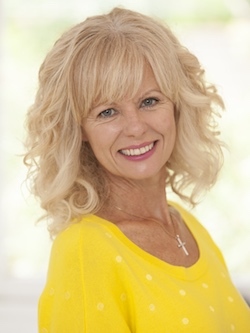 Heidi inspires people through her one minute “God Spots” called “Hope with Heidi” on radio stations in Australia. 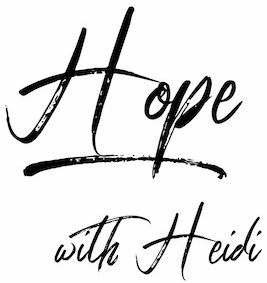 “Hope with Heidi” are short doses of hope to encourage and bless you, whilst offering biblical wisdom to live your best life with God. 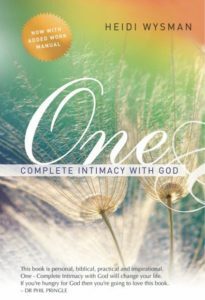 Heidi is the author of “One – Complete Intimacy with God”. A speaker and ordained Minister in the C3 Church Movement. She has a BA in Ministry. A popular Bible College lecturer for over 10 years. Heidi runs “Walking in His Footsteps” Israel Tours with her husband Mark, where the Bible is brought to life before your very eyes. They bring fresh personal revelation, whilst making new friends and fabulous memories. Heidi is a sought after conference speaker bringing the power of the Holy Spirit & igniting hearts for the love of JESUS wherever she goes. Heidi’s powerful life story from the age of 26 of healing and restoration will literally transform lives. Heidi carries a passion to see people receive their breakthrough, personally encounter the living God and sustain this in their own personal walk and prayer life. She simply has a way of igniting people to pray and find their secret place in God.